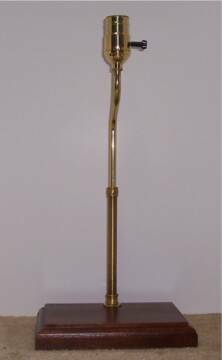 You can turn that item in your attic, garage,that you found or were given into a functional lamp with our figurine lamp assemblies. Figurines are especially adaptable to an offset lamp assembly many of which we have in stock or have the parts readily available for assembly. 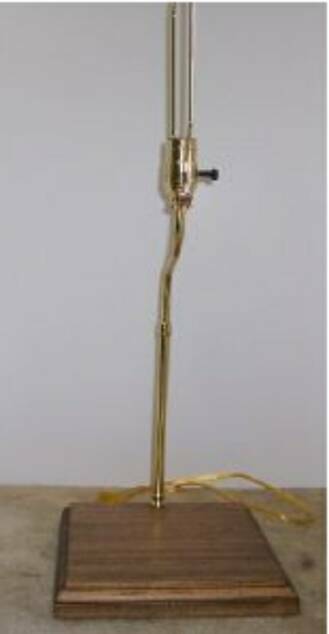 Poplar or mahogany base, with adjustable 14 1/2" to 22" brass plated pipe with 3" offset, turn knob 3 way socket with brass shell, 10" brass plated harp, 8' Choice(white, brown, black, gold or silver) lamp cord. (shade not included).